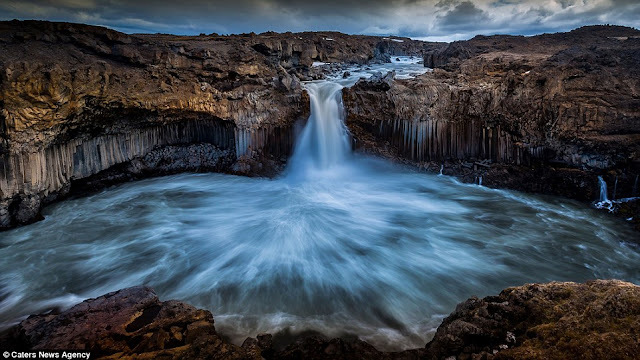 From an eye-popping waterfall to a “petrified troll” in the sea, remarkable pictures reveal the magic of Iceland's rugged and stunning landscapes and that’s why the Iceland remains high on numerous holidaymakers' bucket lists. 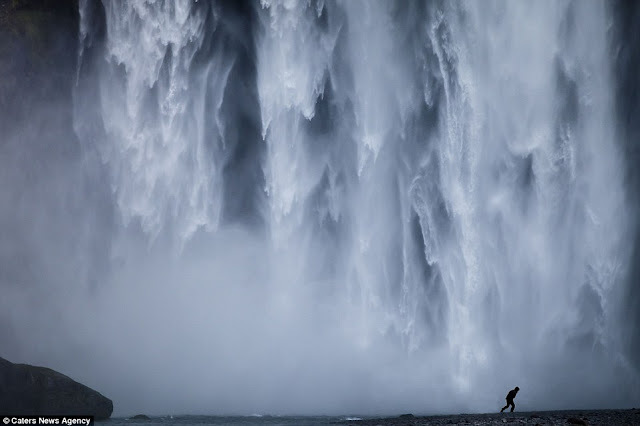 Moreover, with exquisite detail, a 60 years old tourist/photographer “Wim Denijs” captured most beautiful scenes that show fog rolling over mountains, water sweeping over the “Godafoss falls”, and a peaceful day on the water is surrounding the magnificent “Hvítserkur”, a 50ft basalt rock on the Vatnsnes peninsula. The photographer has been drawn to Iceland's exclusive landscapes ever since the 2010 eruptions of “Eyjafjallajokull”. 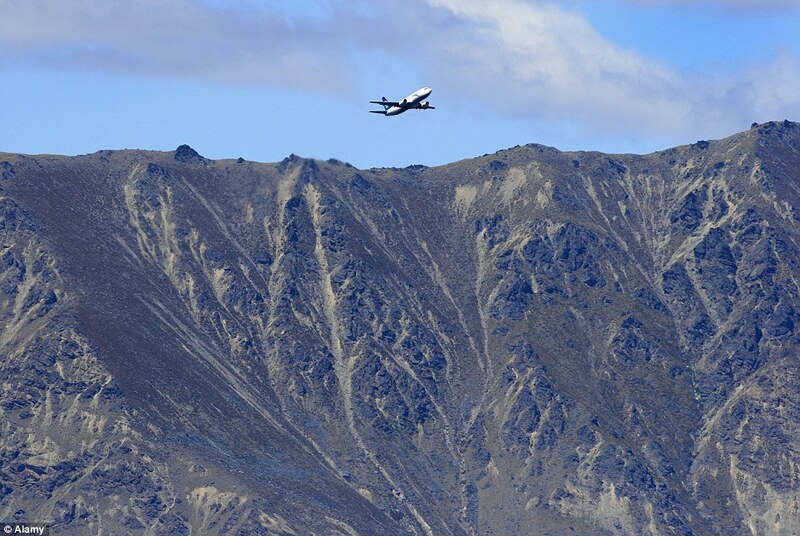 The natural volcanic eruption formed a gigantic ash cloud that shut almost entire Europe's airspace, grounding over 100,000 flights and ruining millions of holidays. I was so excited to discover Iceland in different way in 2010 after the eruption of the “Eyjafjallajokull” and there I really feel how small and fragile we are. We’ve no value / power, but nature is so powerful and beautiful. The creation is extremely marvelous and I’m really found of Iceland now. 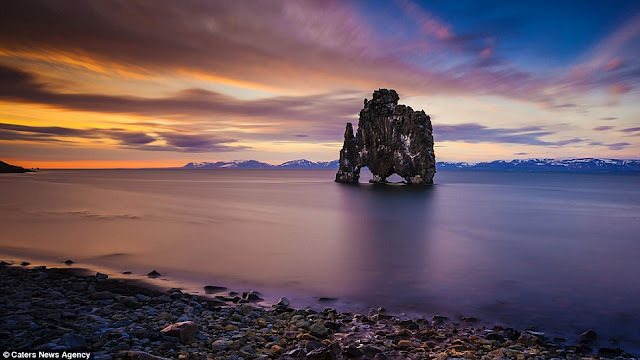 I saw the stunning beauty there, when melting of the glaciers, the power of nature and I became more and more a landscape-photographer. 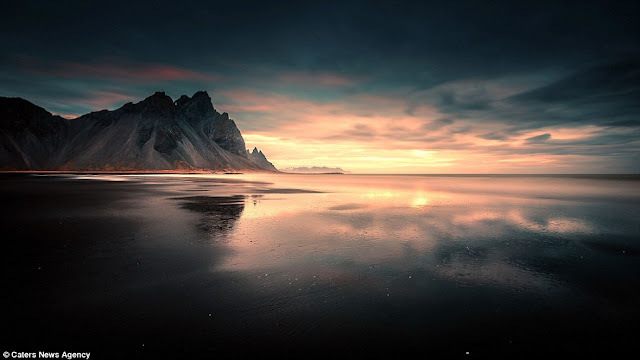 Therefore, it is very striking feel, when you are standing in the middle of a river and you see that everything's in harmony and the shapes of the mountains, the flood of the water and the colors of the sky. The God has created all these things with their power and authority. 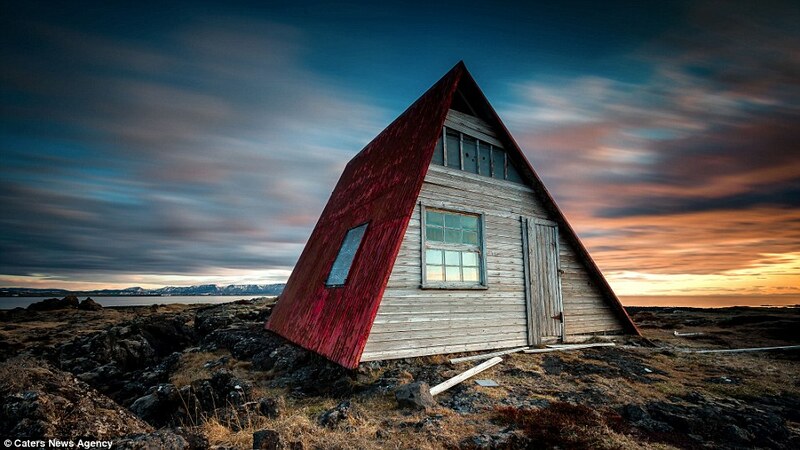 After that I had visited Iceland 7 times since 2010, but still discovering astonishing sights. My favorite photograph is the pains of the “Vestrahorn” actually very imposing mountain in the south-east of the country. 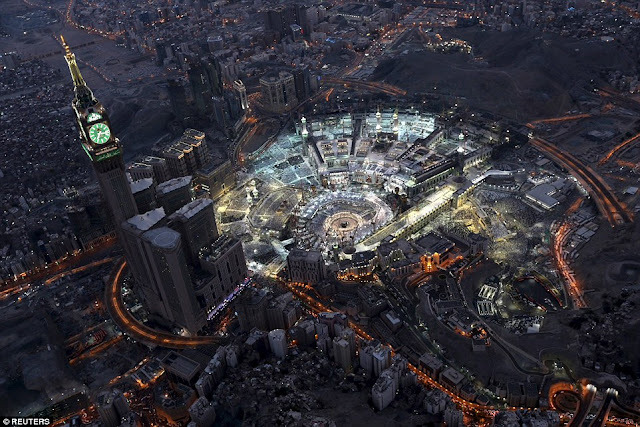 I'm particularly intrigued by culture, color and lights, including a photographic study of landscape and people's lives. 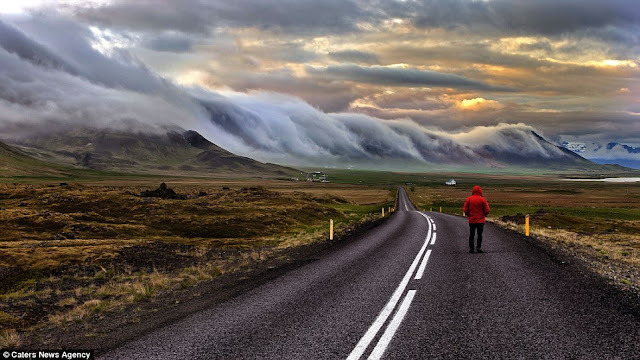 I could look at a line of laundry flapping in the wind, a pair of old, hard-working couple, a crowd of people on the street, and find it very attractive. 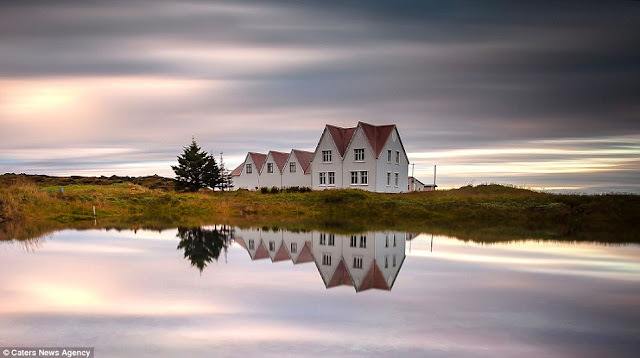 Through taking pictures I want to tell everyone that no matter what no-one is alone no one is forgotten in this world. 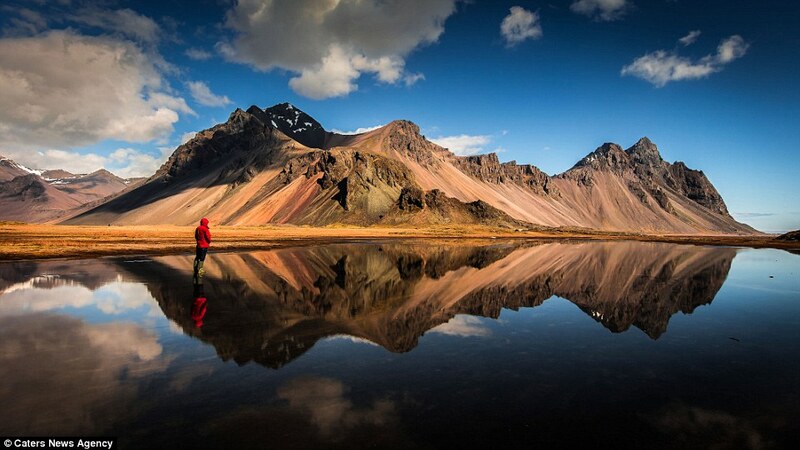 We’re all human being belonging to nature no matter what political decisions are made. 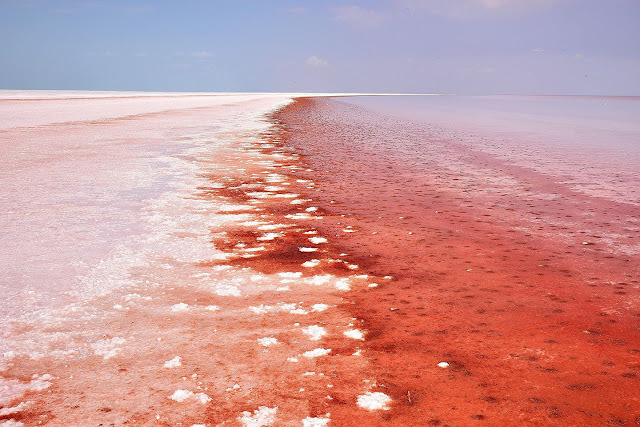 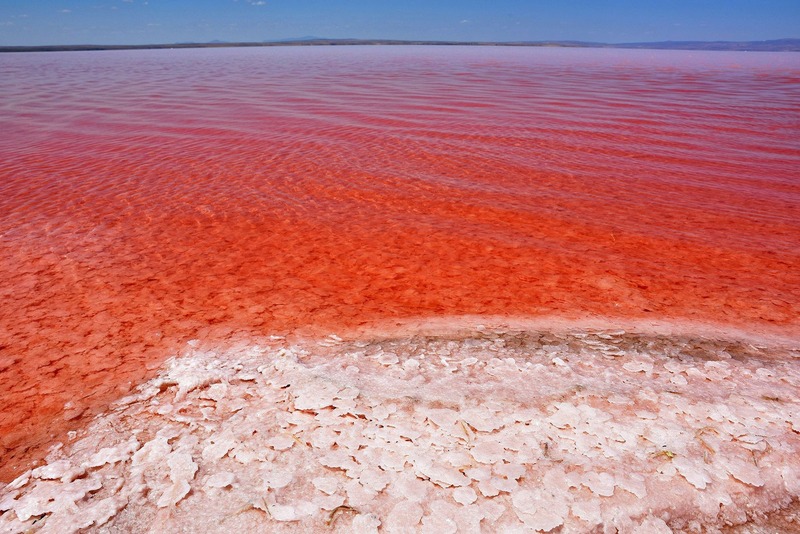 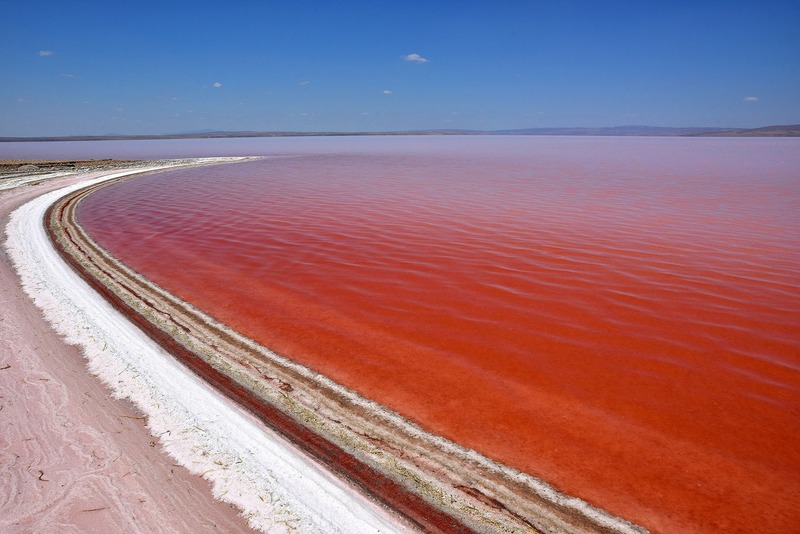 “Tuz Golu” A Lake in Turkey has Become Bright Red as Massive Algae Blossom within the Waters. 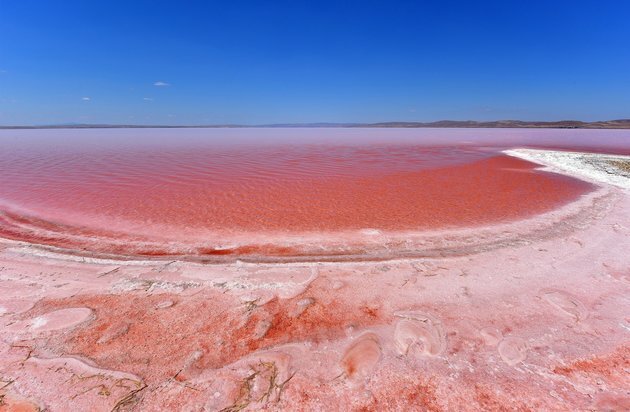 Well, you’ve might see numerous pink lakes on internet, but “Tuz Golu”, is unique addition in the pink lakes collection. 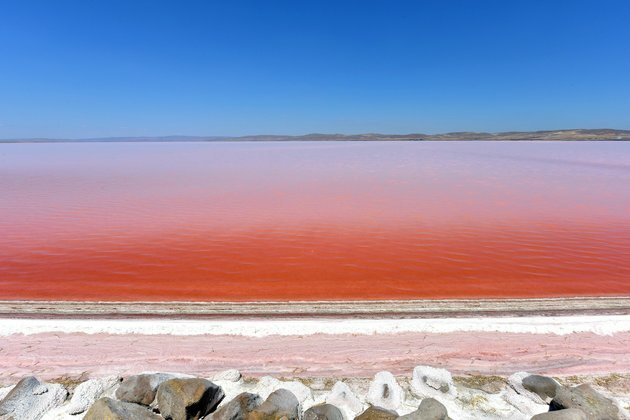 “Tuz Golu” is one of the largest salt lakes in the world (Tuz Golu is the 2nd largest lake in Turkey), and lies in a tectonic depression in Turkey’s dry central plateau, situated in Aksaray. 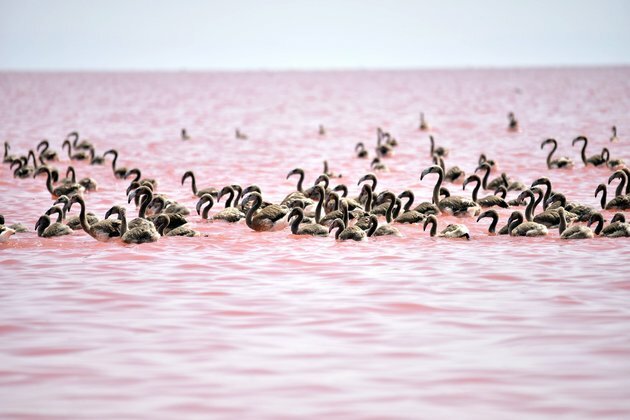 The lake just like a devil’s swimming pool due to huge algae flourish, as Rosy Dunaliella Salina algae turn into pink shade every year. However, you don’t need to worry, because this algae is completely harmless, its colors change not a sign of apocalypse, or an ecological disaster. 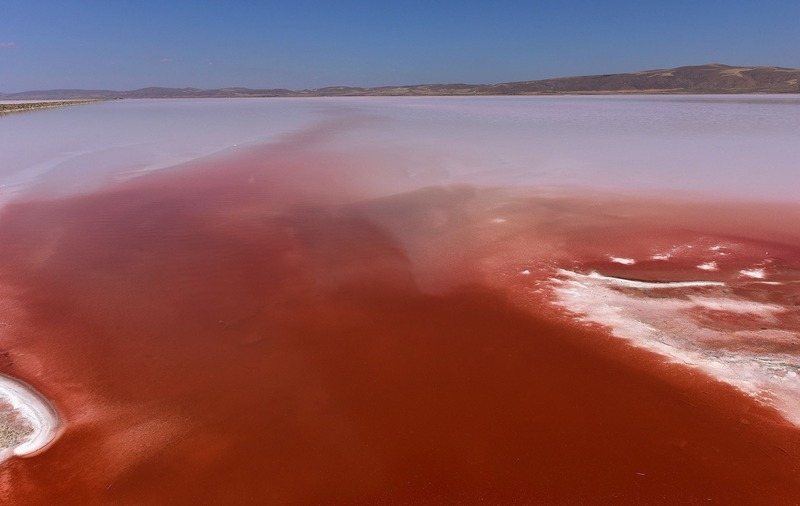 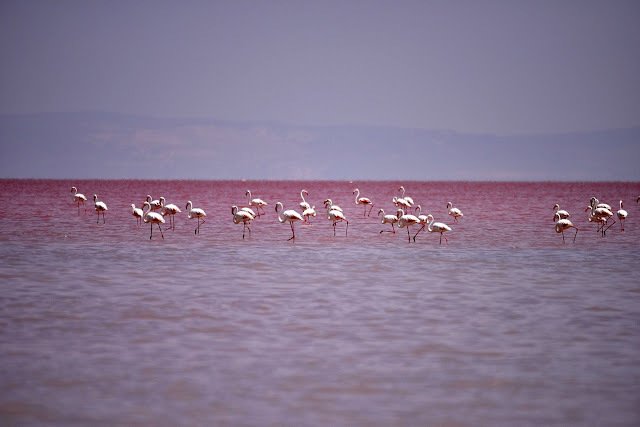 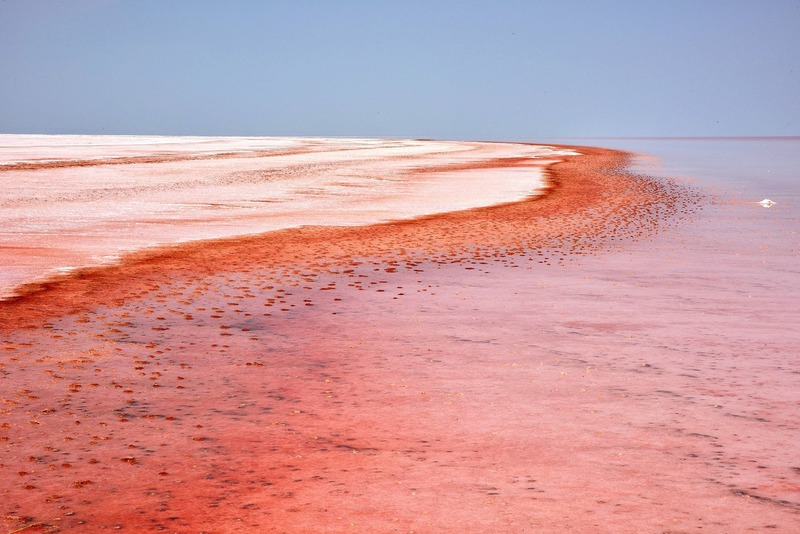 Tuz Golu lake stretches across more than 580 square mile and just three to six meter deep in most of the year, also making it one of the largest hypersaline lakes in the world. 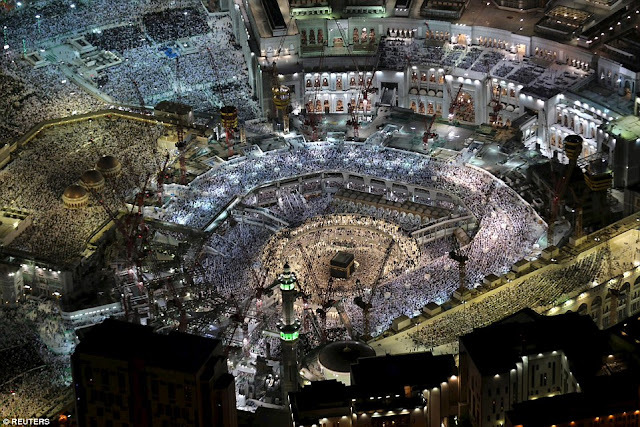 Believe me; you won't want to be land! 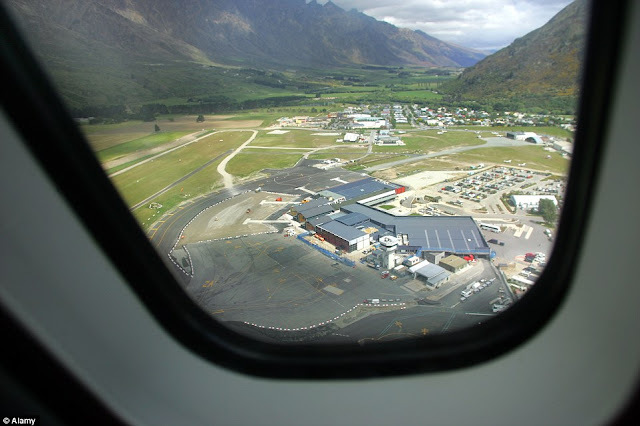 New Zealand Queenstown airport is one of the best views of a in the world can be seen from your plane seat as you come into land and it is voted as having the most amazing approach. 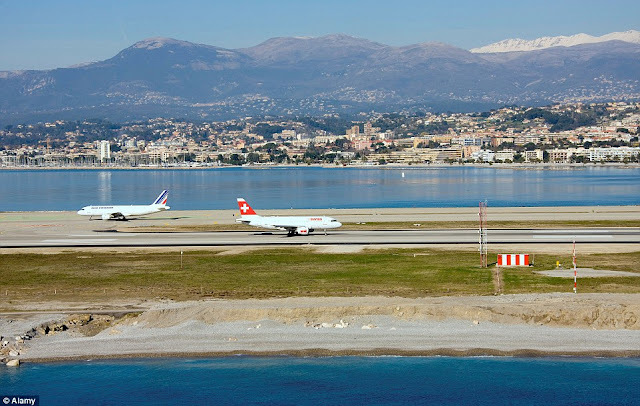 The exquisite airport trumped 147 runway approaches, including iconic city skylines just like London and Las Vegas, and incredible remote landscapes in the Caribbean. The annual survey conducted by private jet booking service “PrivateFly” actually judged by a panel of “international travel experts” and travel fans who admired the airport for its unspoiled panoramic picturesque views. The Queenstown Airport in top ten shortlist of poll survey and this year the airport flew into the top spot. 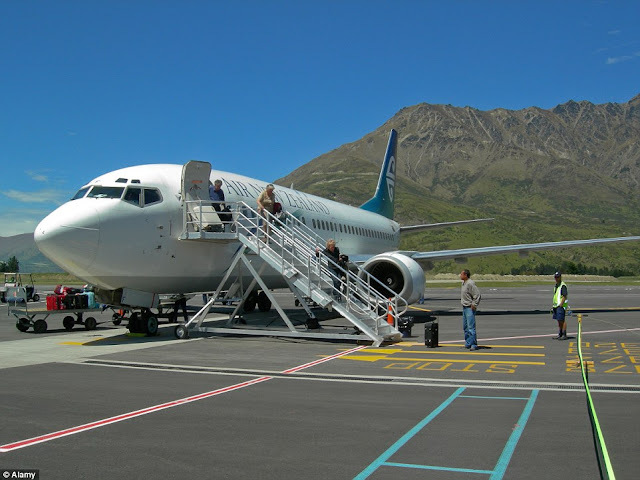 The Scott Paterson The CEO of Queenstown Airport Corporation said, we’re extremely thrilled with the award and international recognition. 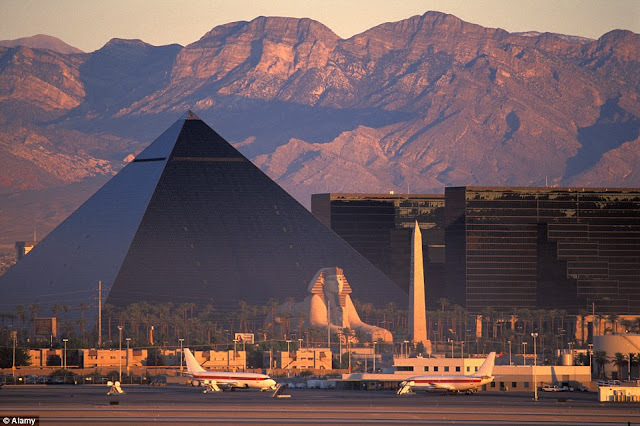 However, we were in the Top 10 from last several years, but unable to get top spot. 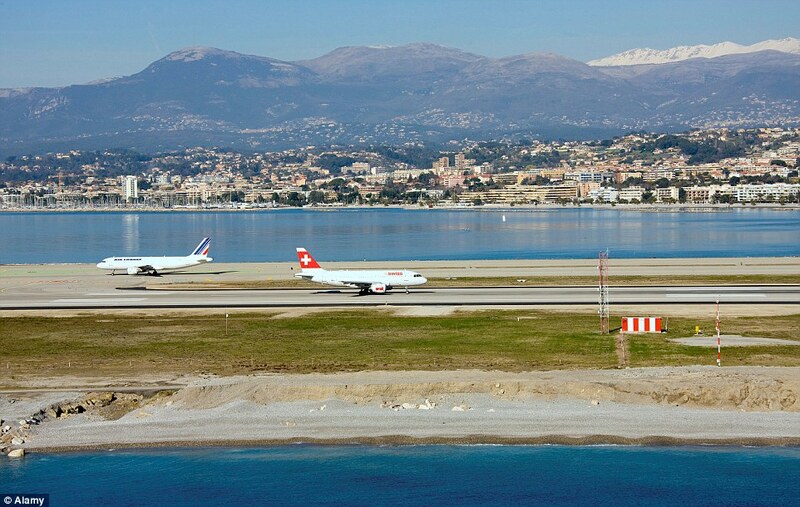 But this year, we’re really exciting especially given the beauty of the other airport approaches worldwide. 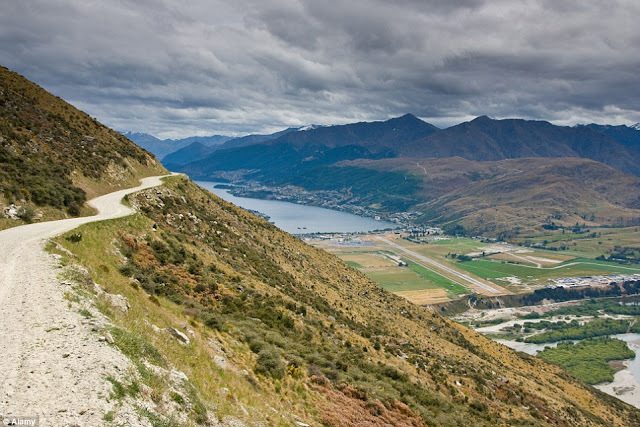 The majestic beauty of Queenstown airport and their approach is stunningly snowcapped Southern Alps, pristine lakes and national park is truly amazing and inspiring as well. We're extremely delighted that so many travelers around the world think so too!' 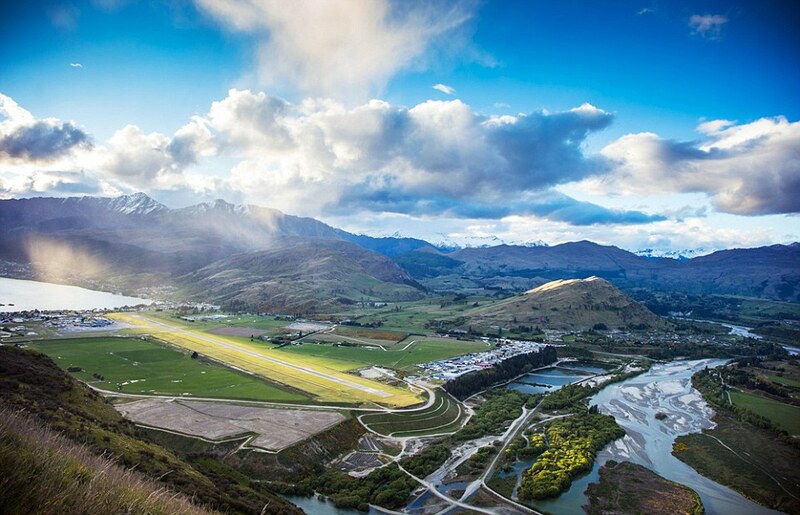 The airport operates as a gateway to some of natural scenic beauty which lures travelers all around the world. One of existing comment, is really proud of our gateway, he said, I had flown to numerous attractive locations worldwide but nothing even comes close to comparing with the excitement and beauty that stuns you as you come in to land at Queenstown. 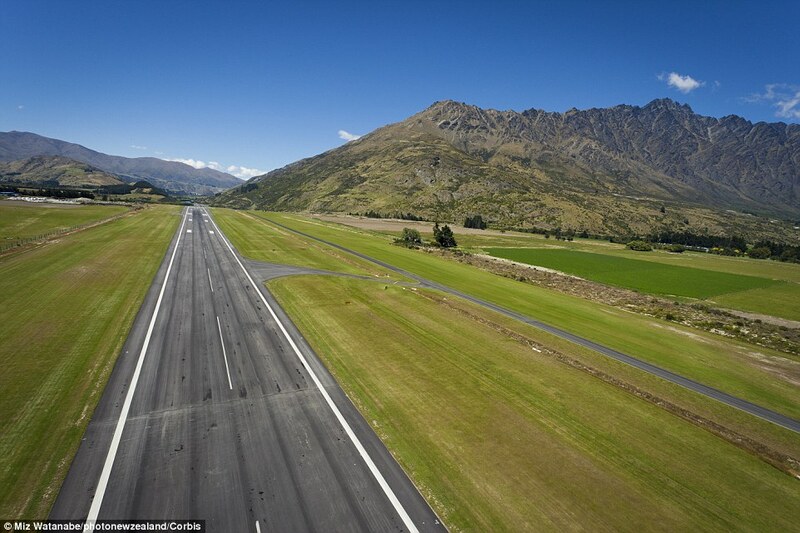 One more comment is also agreed, frankly speaking I had no world’s just tears of awe and beauty when I landed to this marvelous gateway, it’s entirely enveloped by Mother Nature. 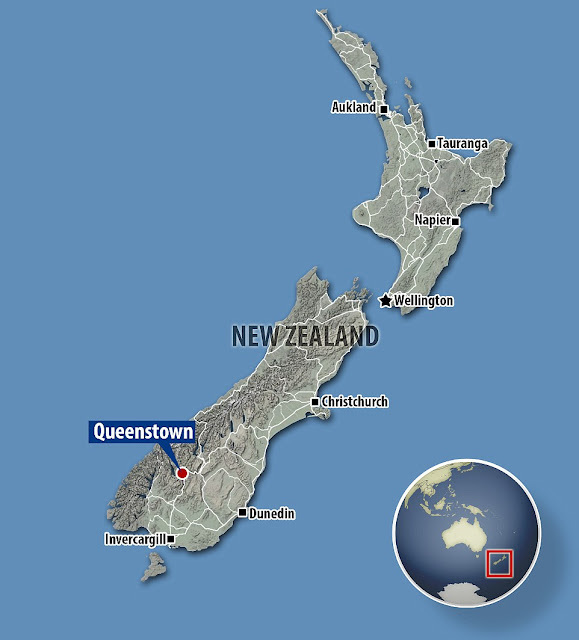 The title means Queenstown Airport is recognized alongside previous winners Nice Cote D'Azur in 2014, St Maarten in the Caribbean in 2013 and Barra in Scotland's Outer Hebrides in 2012. 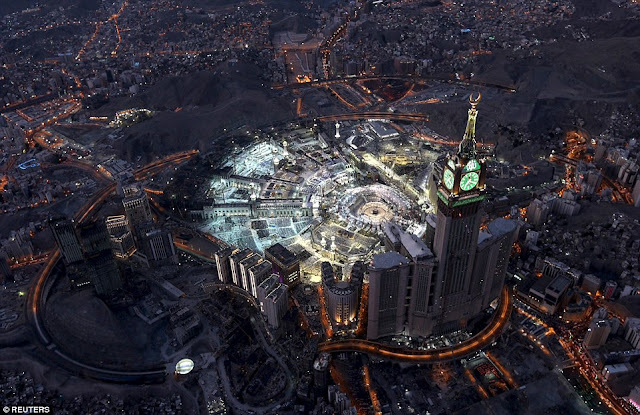 These breathtaking aerial photographs taken from the “Abraj al-Bait Towers”, also famous as the “Makkah Royal Hotel Clock Tower”, show Muslim worshippers praying at the “Masjid al-Haram”. 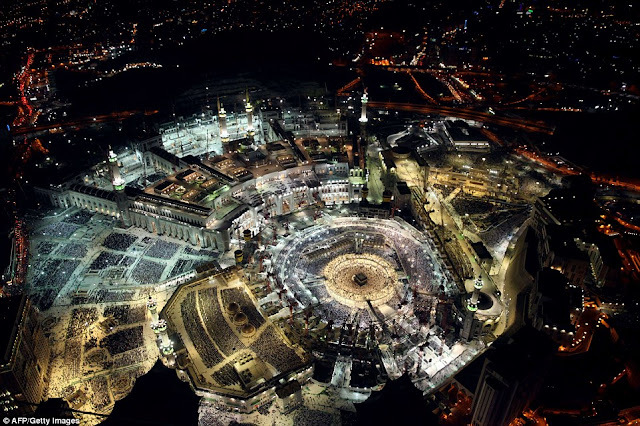 These spectacular aerial photographs were captured in the early hours of July 16 2015, just one day before the end of the fasting month of Ramadan. After that all Muslims will celebrate Eid festival. The dazzling “Masjid al-Haram”, which is just located in the holy city of Makkah, contains Islam's holiest site the “Kaa’baa” and can now accommodate more than two million people. 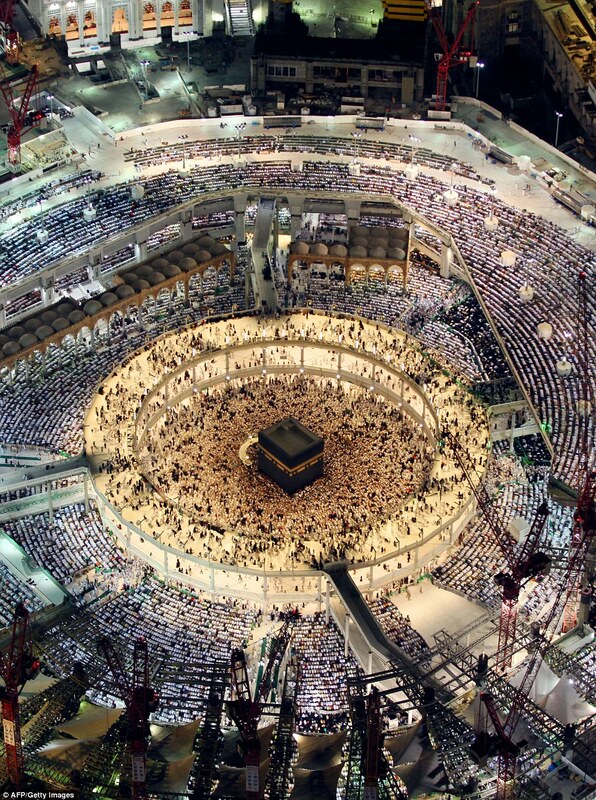 Moreover you know the Grand Mosque is also known as “Masjid al-Haram” and is the world's largest. 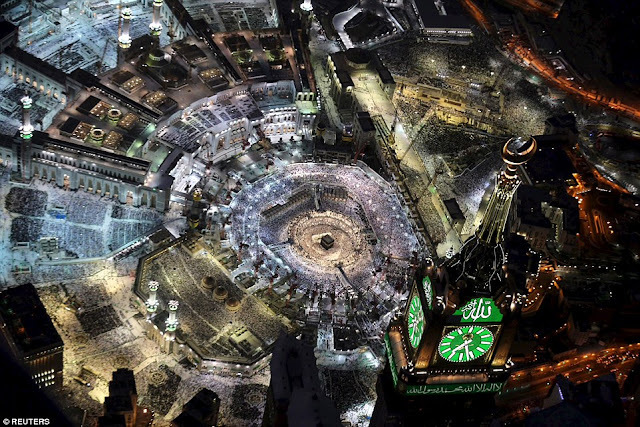 The virtue of Night of power is equal to 1000 months of consistent praying. 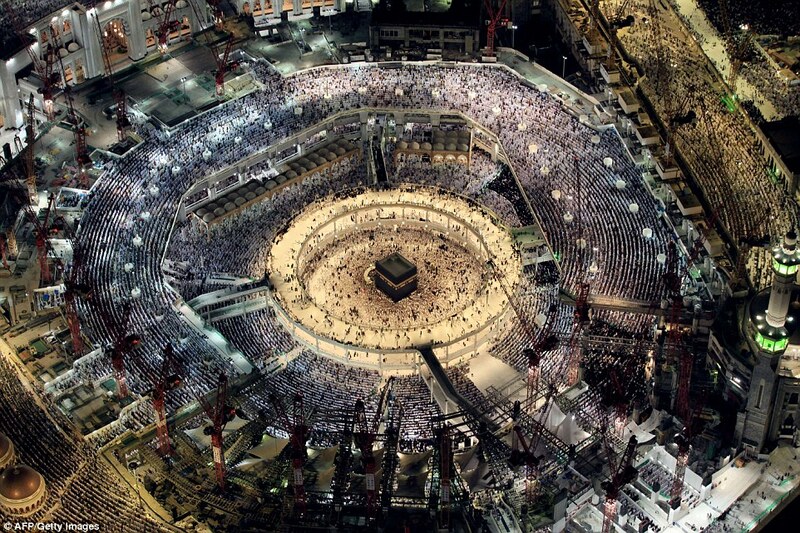 Muslims have strong belief on Allah Almighty and Prophet Muhammad ﷺ. Almost 1.85 million visiting Muslims face in the direction of the Kaa’baa while performing obligatory five time daily prayers. 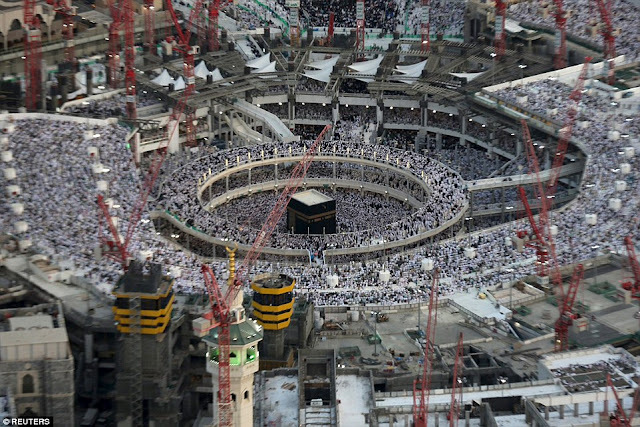 One of the Five Pillars of Islam requires that every Muslim perform the Hajj pilgrimage at least once in his or her lifetime. Moreover, Hajj is one of the largest annual gatherings of people globally and many thankfully, the present structure covers an inspiring 88.2 acres, including the indoor and outdoor praying spaces. 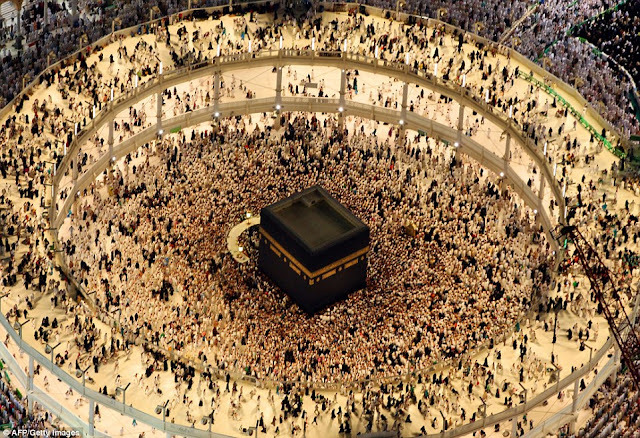 However, the Hajj is a demonstration of the solidarity of the Muslim people, and their submission to Allah Almighty, and happens in the last month of the Islamic calendar. It is heartiest feelings to associate with the prophet Hazrat Muhammad ﷺ in the 7th century, the ritual of pilgrimage actually date back as far as Prophet Hazrat Abraham (A.S). The prophet Muahmmad ﷺ is the greatest human who changed the life of countless peoples with his powerful character. 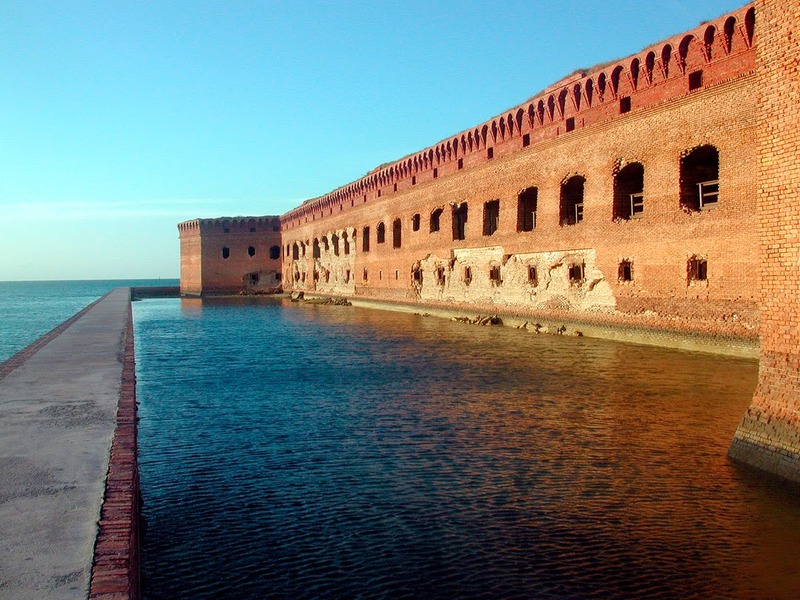 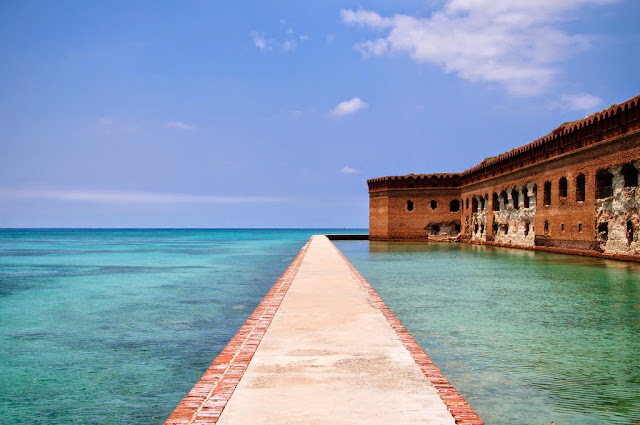 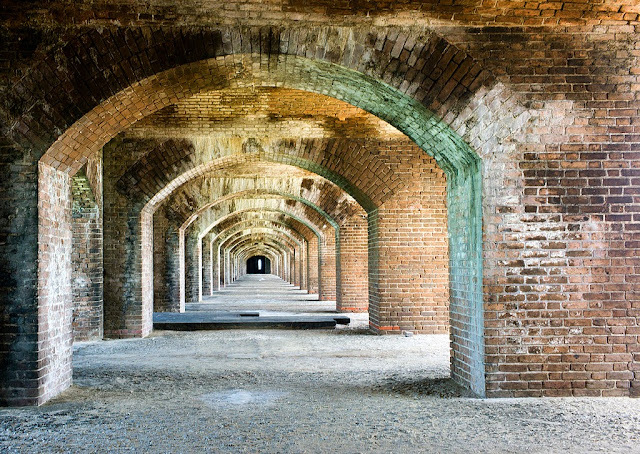 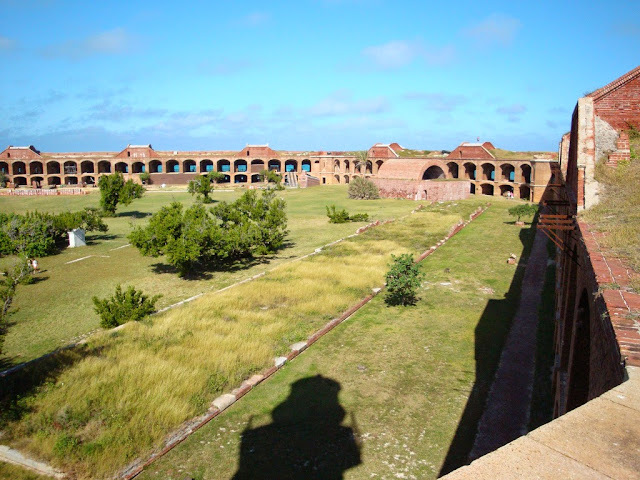 The unfinished Fort Jefferson is a massive coastal fortress, actually a largest masonry structure in the United States. 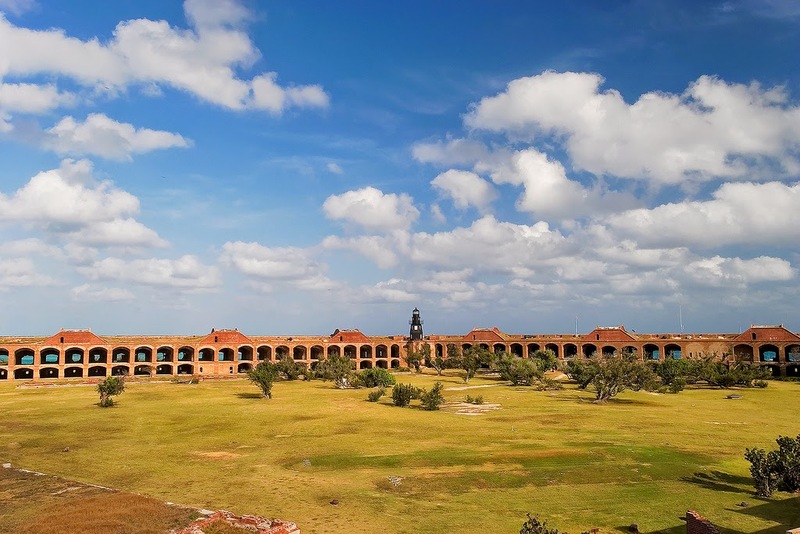 The Fort is beautifully composed with more than 16 million bricks. 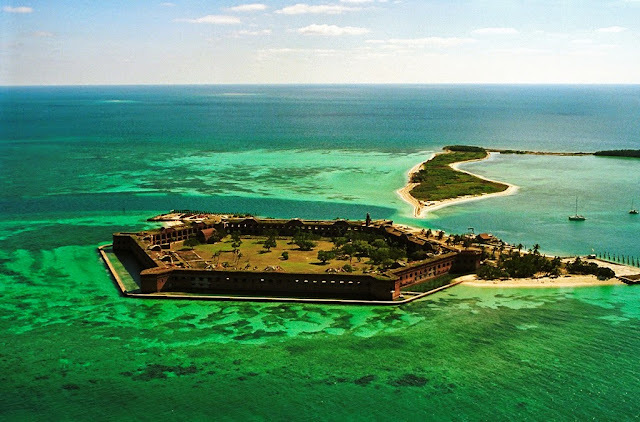 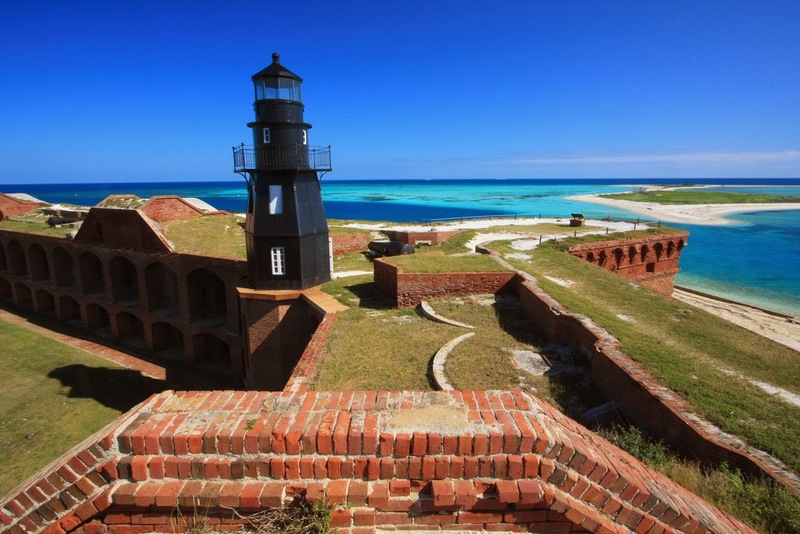 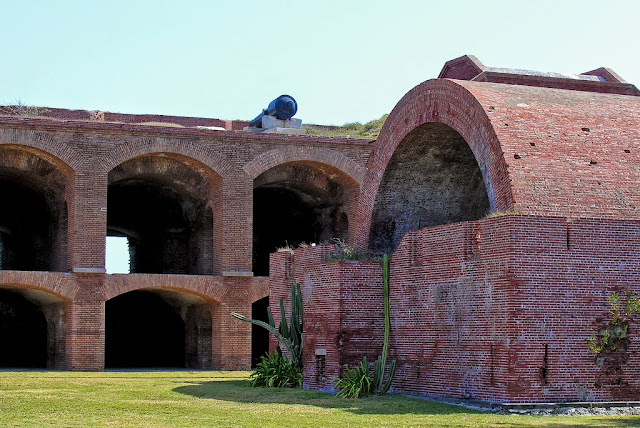 The fort is located on Garden Key in the lower Florida Keys within the Dry Tortugas National Park, about 110 km west of the island of Key West. 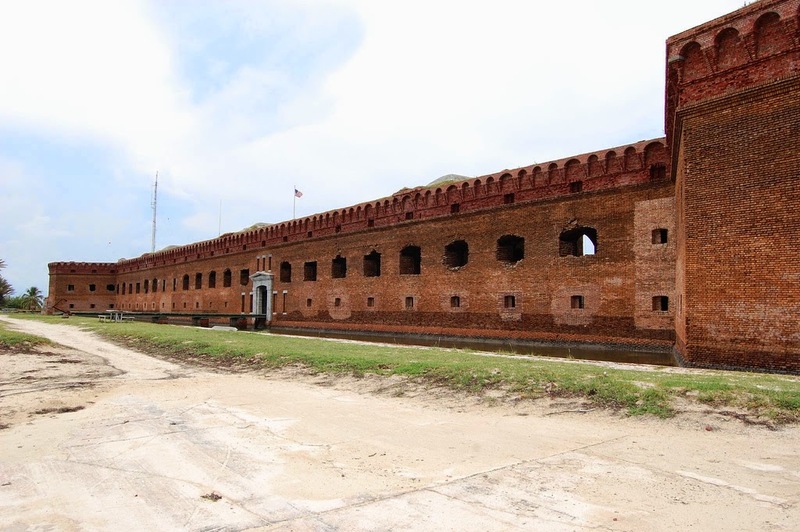 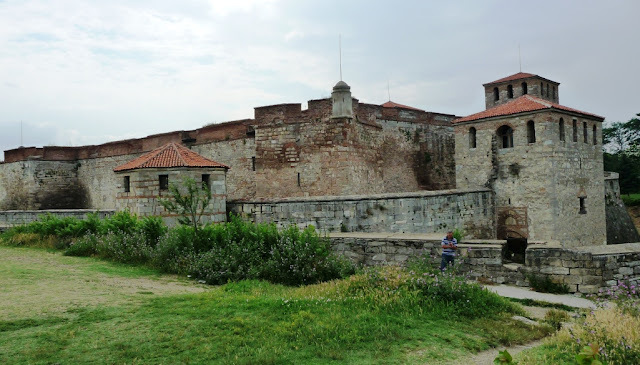 The massive fort construction started in 1846 and continued for 30 years, but unluckily it was never finished. The development of rifled cannon and armored ships made Fort Jefferson obsolete even while its construction was under way. 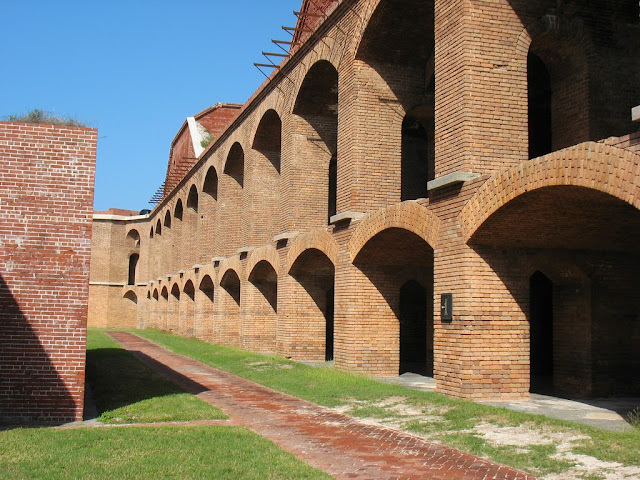 However, much of the work of fort building during the years before the Civil War was done by enslaved laborers. Therefore, in 1847, one of the bravest attempts every made to escape slavery was made by seven workers at the fort. However, commandeering or disabling as several schooners and boats as they could, they set out from Garden Key in a frantic attempt to sail away to freedom. 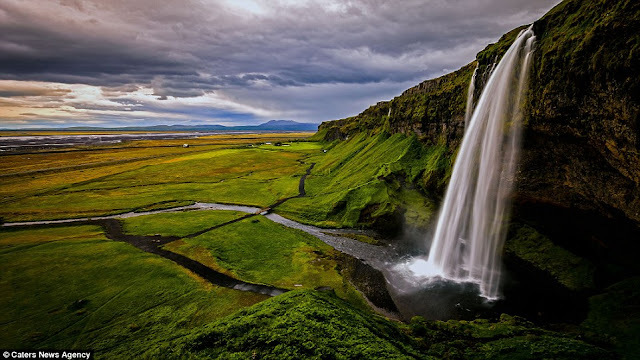 The good-looking islands still do not exhibit any standing fresh water or even seasonal streams, therefore the name "dry". 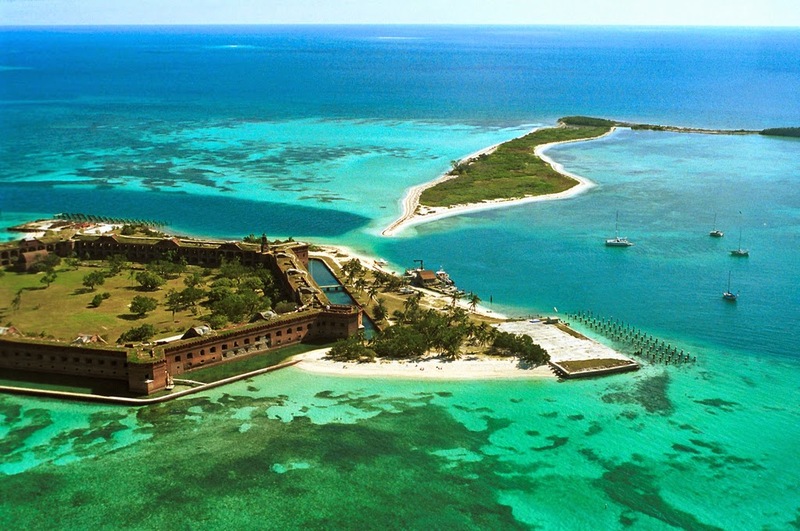 Owing to the potential difficulties of survival in such conditions, one of these islands was used as the location for filming a military survival film used to train aircraft personnel. 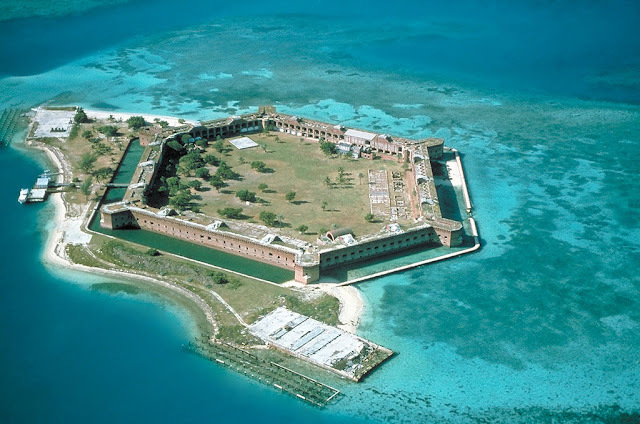 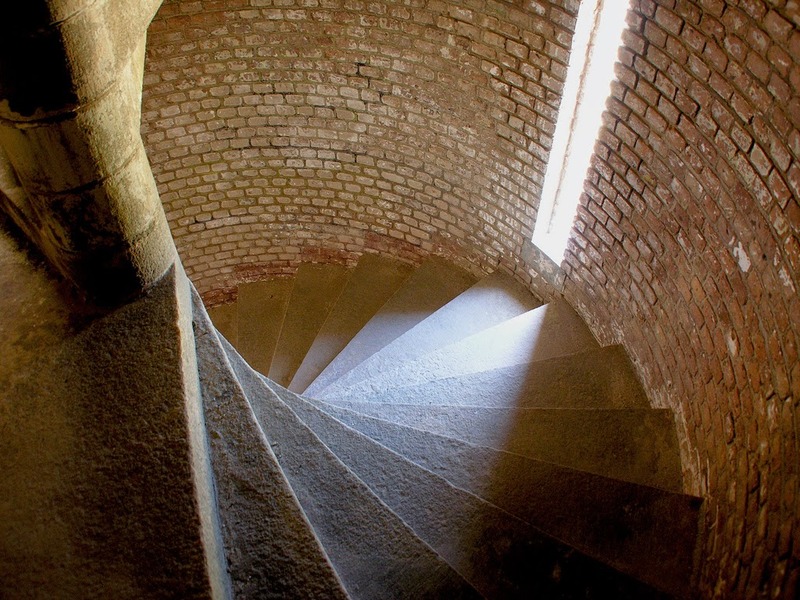 The Fort Jefferson design called for a four-tiered six-sided 1000 heavy-gun fort, with two sides measuring 415 feet, and four sides measuring 564 feet. 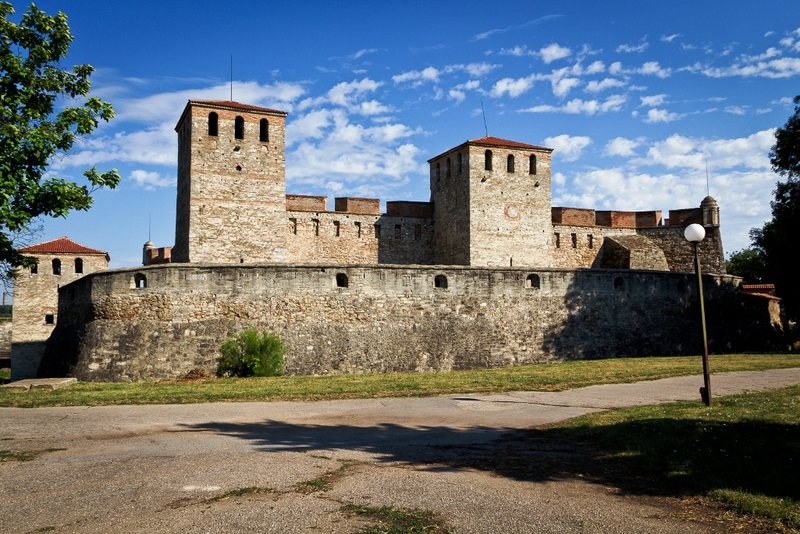 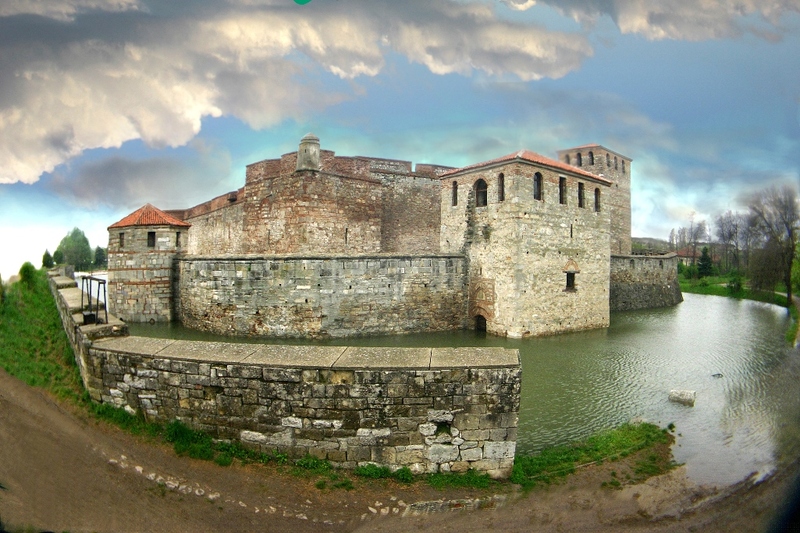 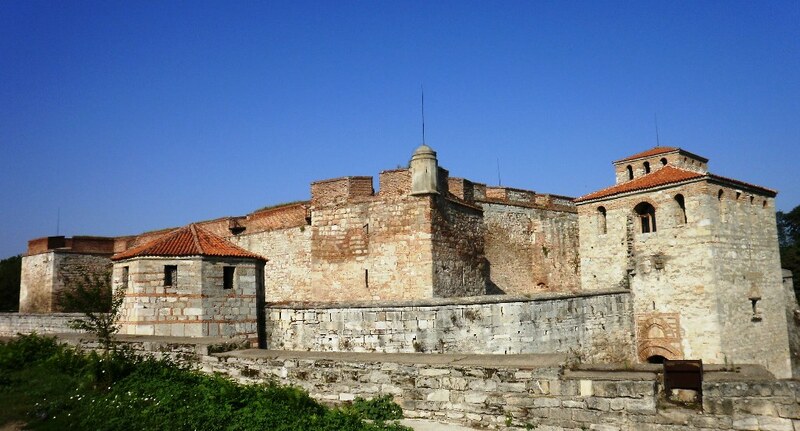 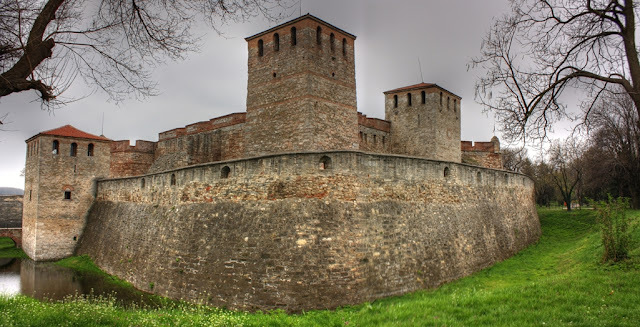 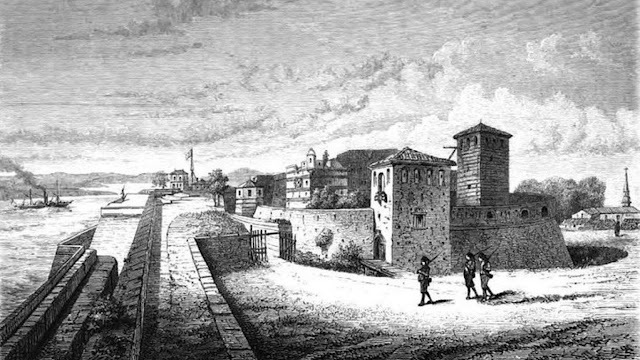 The walls met at corner bastions, which are large projections designed to let defensive fire along the faces of the walls they joined. 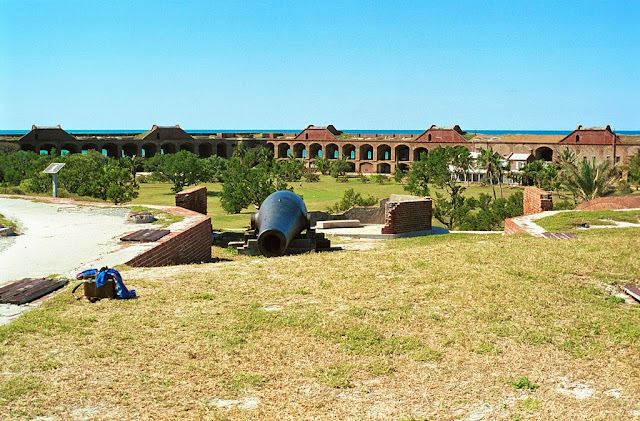 Fort Jefferson was designed to be a huge gun platform, impervious to assault, and capable to destroy any enemy ships foolhardy adequate to come within range of its powerful guns. The fort remained in federal hands throughout the Civil War, however hostilities was finished in 1865, the fort's population declined to 1,013, consisting of 486 soldiers or civilians and 527 prisoners. 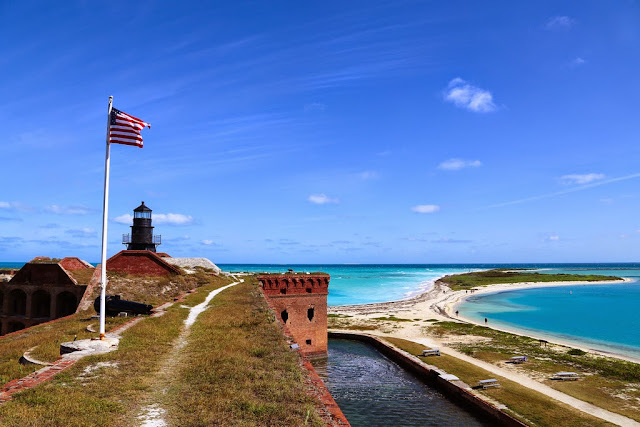 On January 4, 1935, President Franklin D. Roosevelt, who visited this place by ship, designated the area as Fort Jefferson National Monument, but in 26, Oct 1992 the Dry Tortugas, including Fort Jefferson, was established as a National Park.